Home » Blog » Fall Dance Semester Starts NOW! Fall Dance Semester Starts NOW! Dance and movement is an essential part of life. Everybody can dance; just go along with the music, and feel where the music takes you. From the time of the cavemen, dance was utilized to communicate, to express significant life events and celebrate. Dance is great for children, they have no inhibitions and can use dance as an outlet of expression. Among the types of dancing, ballroom dance is the most interesting. Ballroom dance is one with a traditionally a partner dance, but can also be performed as a triplet, group or in any number formation. It can be for social reasons, for competition or exhibition. Dance competitions are judged to determine the best dance partners. An exhibition dance pleases the audience with the skills of the dancers. For most people, social dancing is the only possible type for them to participate in, but signing your children up for Ballroom Dance classes allows them to enter the world of competitive dance. Ballroom dances are always with a partner enjoying each other socially as they sway with the music and rhythm on the floor. There are many types of ballroom dance among them are: Cha Cha is a Latin America dance ; Mambo and rumba were Latin dances from Cuba; Paso Doble is the Spanish dance from France; Samba is a Brazilian dance; Tango is a dance from Argentina and Uruguay; Waltz is from Vienna and Austria. Your child will start by having fun, learning the steps and counts and the rhythms. 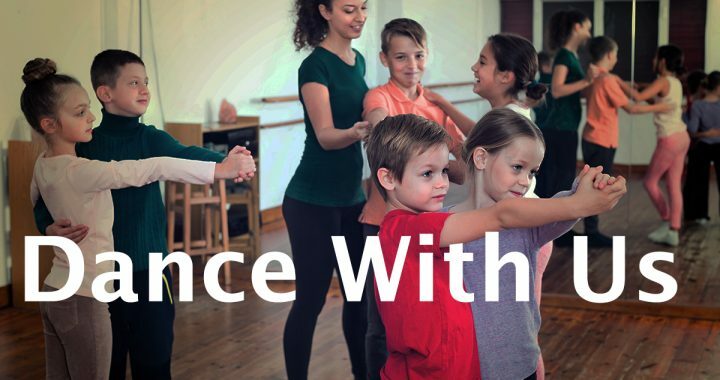 As your child learns the movements you will be awed at their elegant movements across the dance floor. There is no age limit for ballroom dancing, you kids start at 2 or 3 years old and dance along side grandparents. Dance improves physical fitness, development of self-confidence and the ability to socialize. Your child learns the right attitude towards competition; in fact, ballroom dance is now considered a world sport. The physical benefits in the child’s over-all health both physical and mental are overwhelming. Other positive benefits are: teamwork; proper etiquette; respect for self & others; improvement of coordination & balance; encourages self- expression & creativity and all the fun elements. Sign up in studio at Dance With Us Long Island NY- Fall Dance semester! Fall Dance Semester starts now on Long Island. Dance lessons and group classes are after school hours. This will be a great experience for your child to exercise while having fun. See your child do the cha-cha as he is developing a new interest with ballroom dancing. The kids develop coordination of their body and acquiring a sense of rhythm. Dancing can be a fun filled, rewarding experience for children. Dancing is a skill that will give tour child a good start up in life. He will master the right positions, correct rhythm, appropriate timing as well as lead. He will dance with grace the foxtrot, tango, swing, cha-cha and more. These skills will never be forgotten and useful and family functions, weddings, bar/bat mitzvahs, sweet 16s and charity events. Dance With Us, Long Island NY is the best dancing studio for you kids. We have the most experienced and highly trained dance instructors; the most competitive prices and no registration fees are required. You are welcome to catch a ballroom dance fever here with your child! ← Gold Coast Dance Showcase!